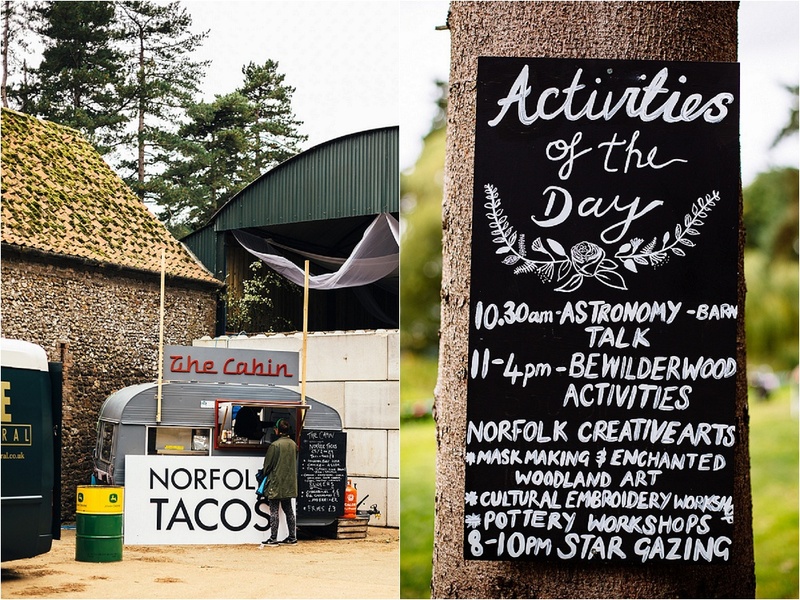 I adore living in Norfolk. 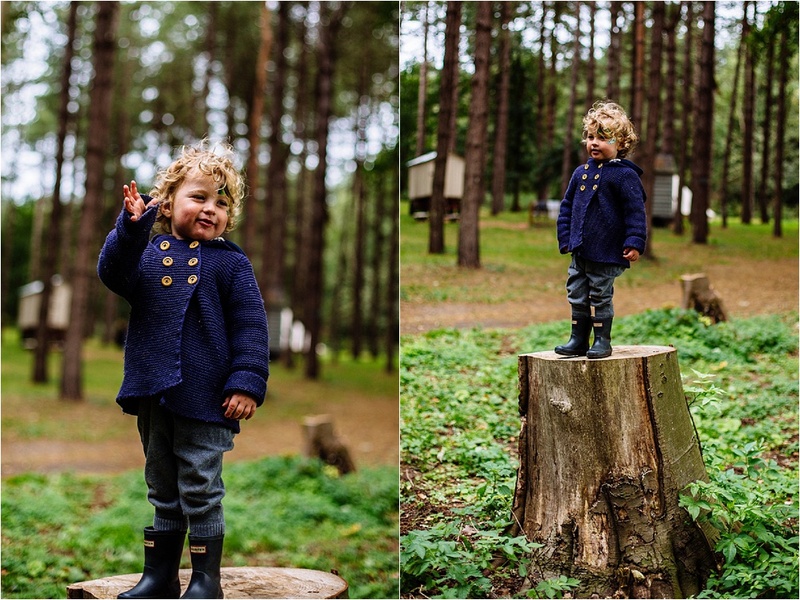 We are completely surrounded by idyllic coastlines, enchanting woodlands and interesting towns and cities to explore. 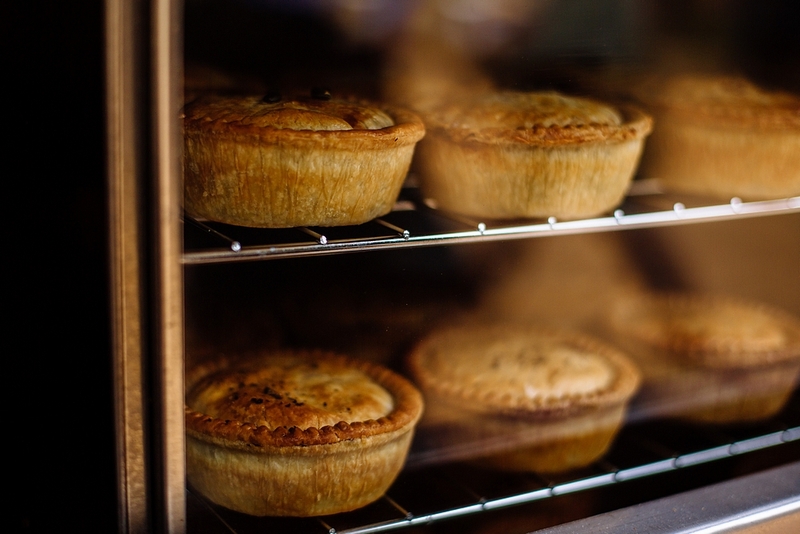 As well as the scenery Norfolk is also home to so many incredibly talented artists, makers, musicians, chefs, bakers, business people and brands – all of whom I love to buy from and support. 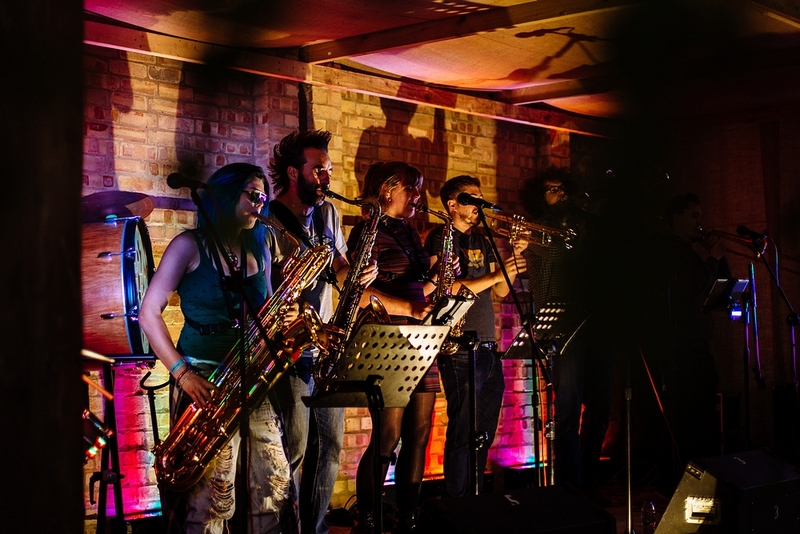 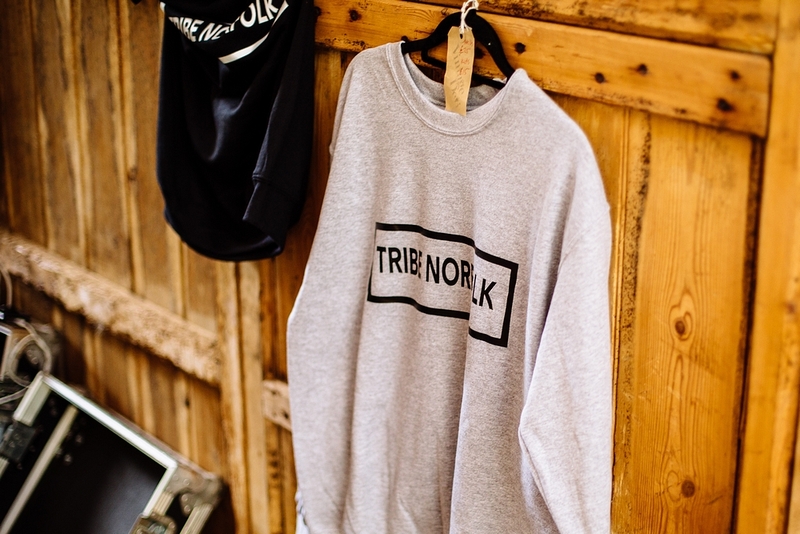 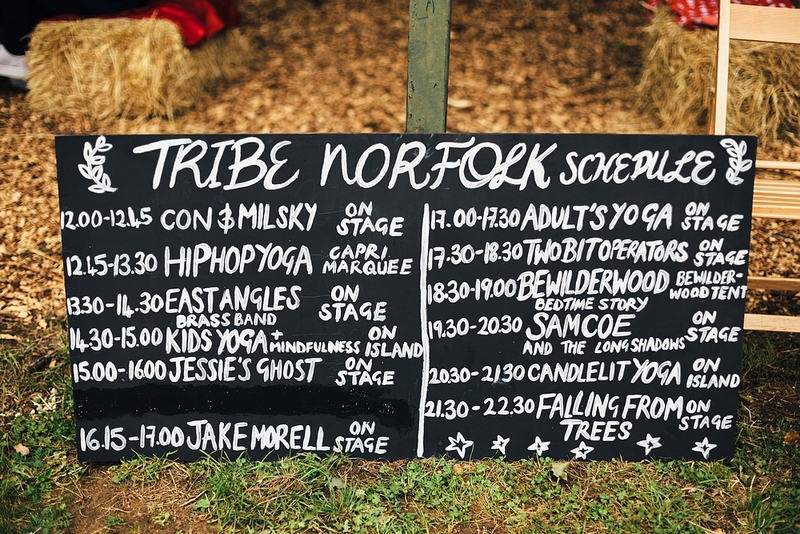 Tribe Norfolk was set up by local businesses in order to really showcase all of the talent within this beautiful county, and this year the first ever Tribe Norfolk Weekend became a reality. 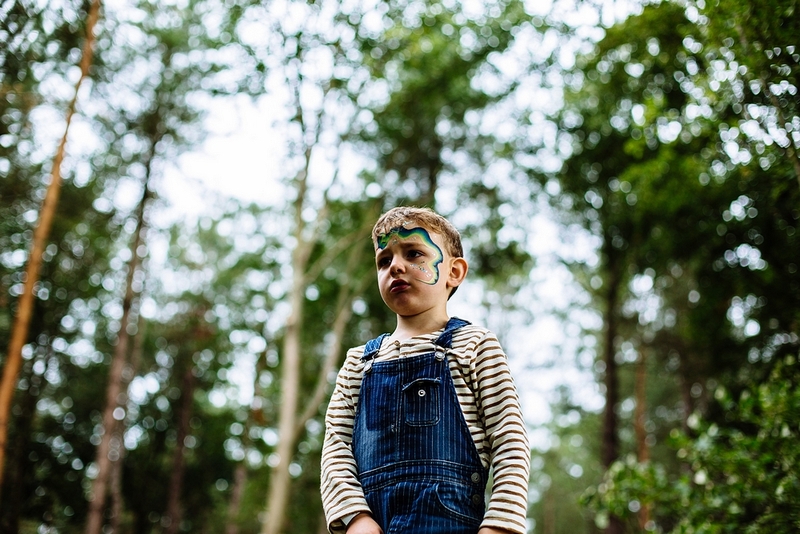 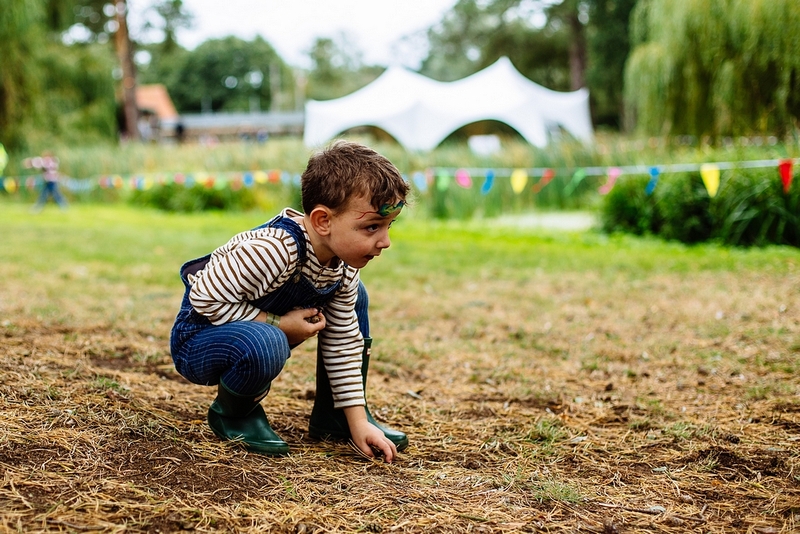 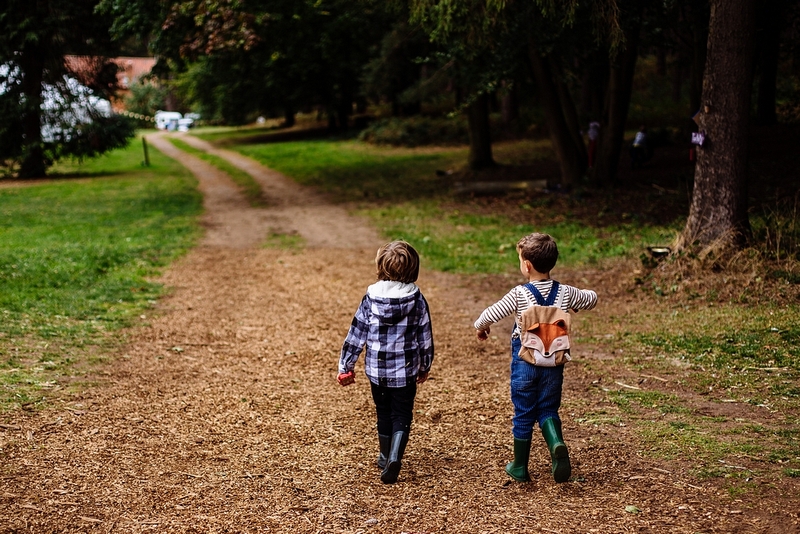 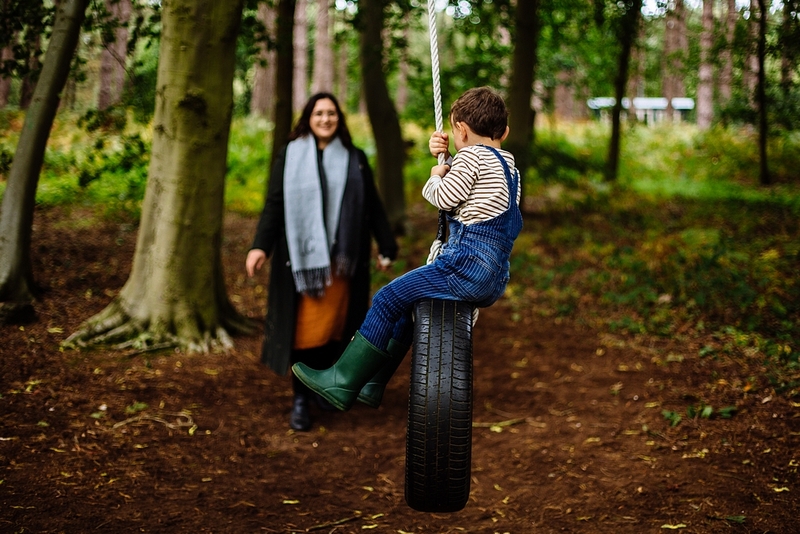 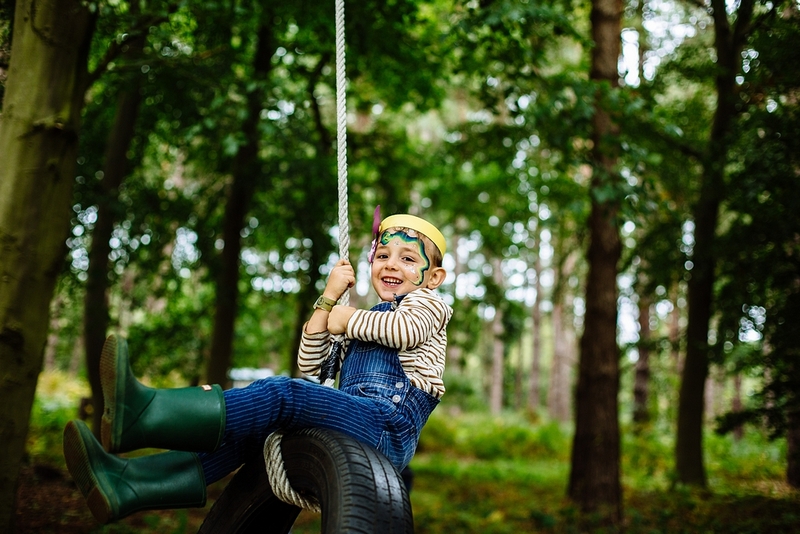 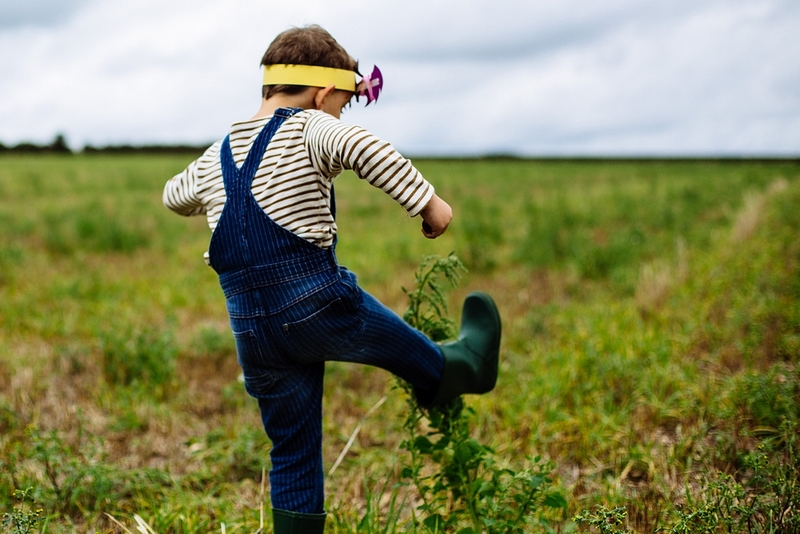 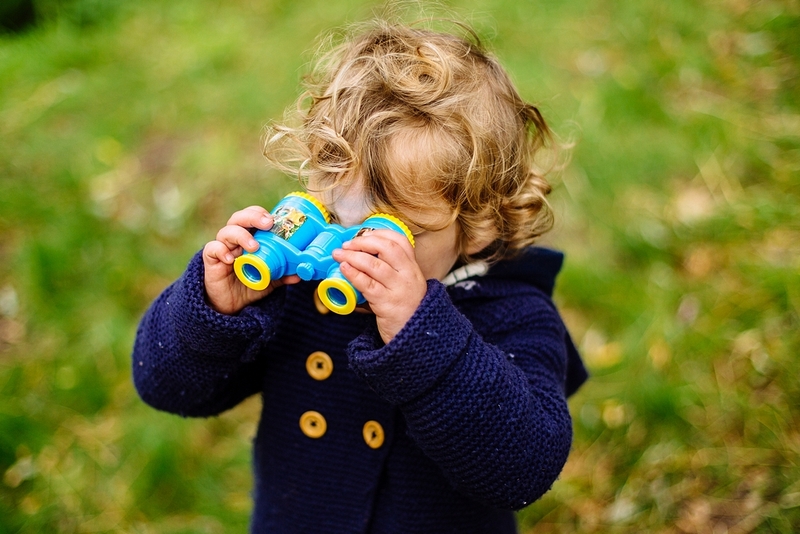 A whole festival aimed at families, hosted in the most perfect location which made a perfect setting to experience all the wonder Norfolk contains. 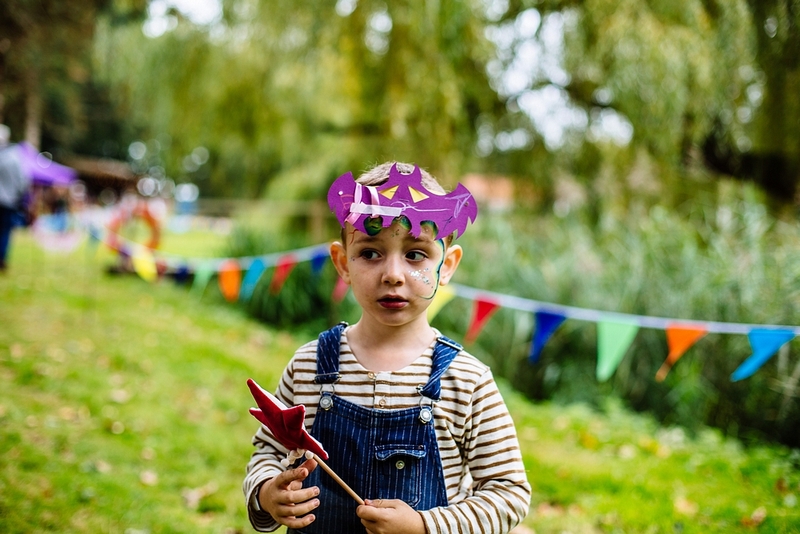 We were lucky enough to be invited to the event, and I wanted to share everything we loved as well as some photos from the festival. 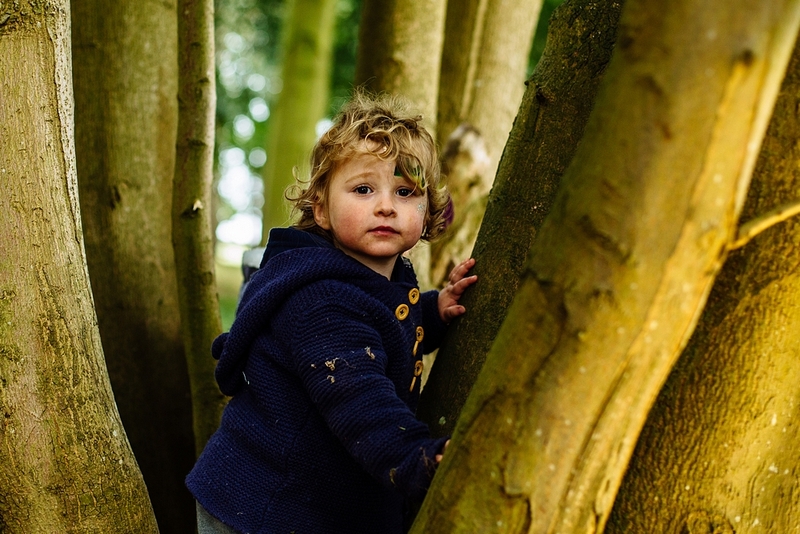 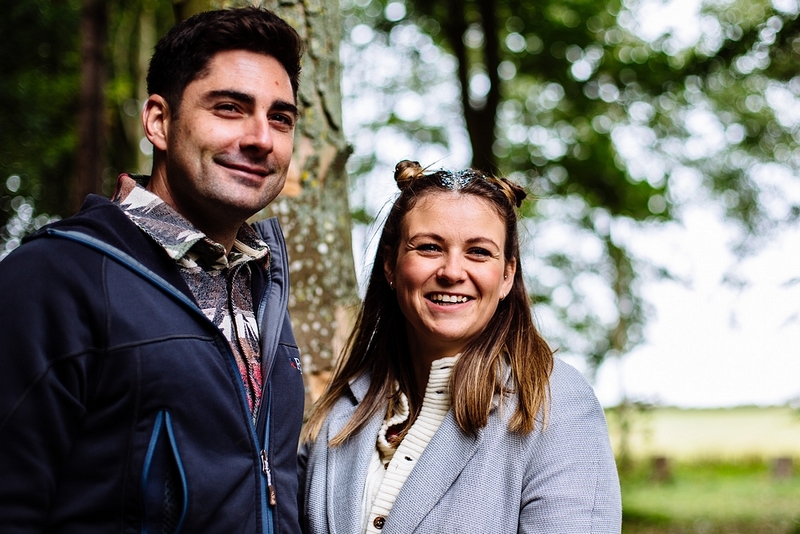 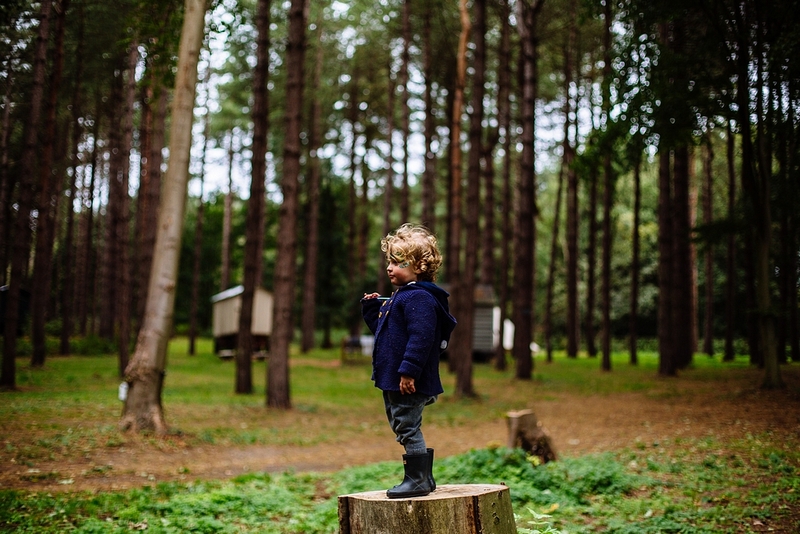 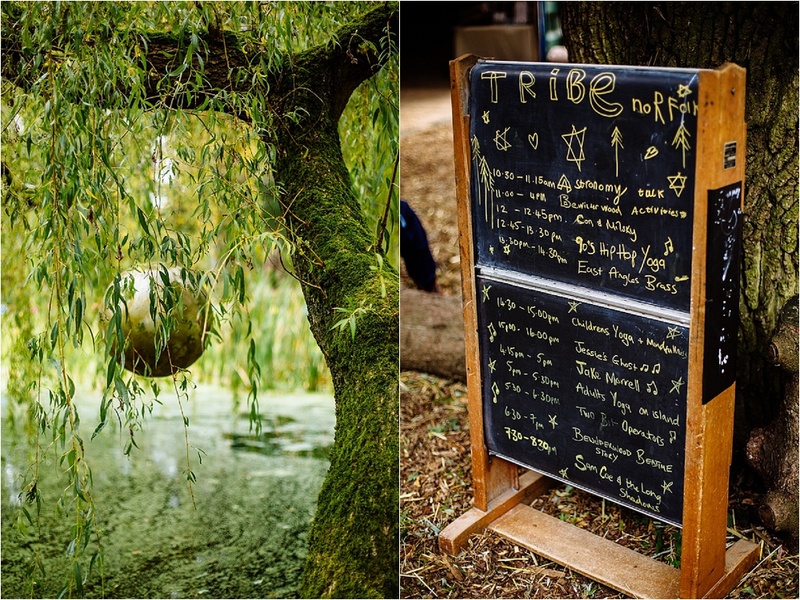 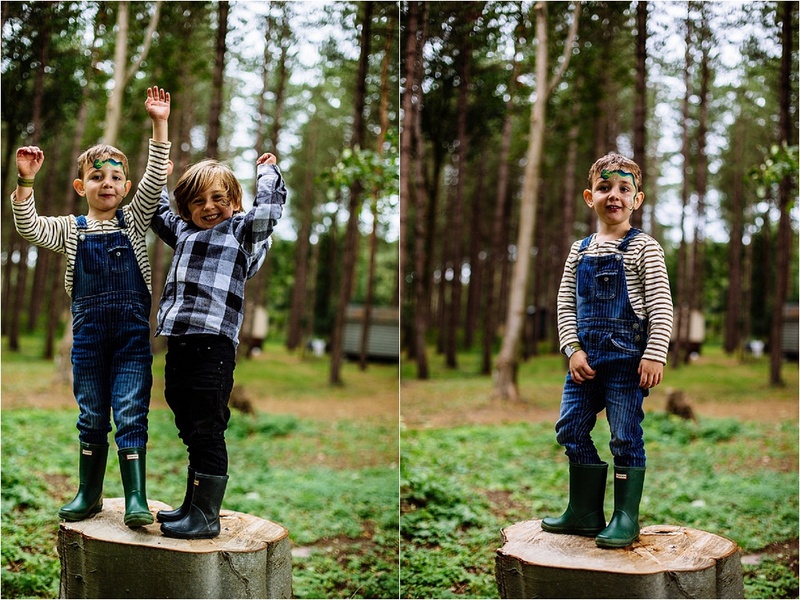 Tribe Norfolk is set within the dreamy woodland of Happy Valley Glamping Retreat, run by the incredible Katy. 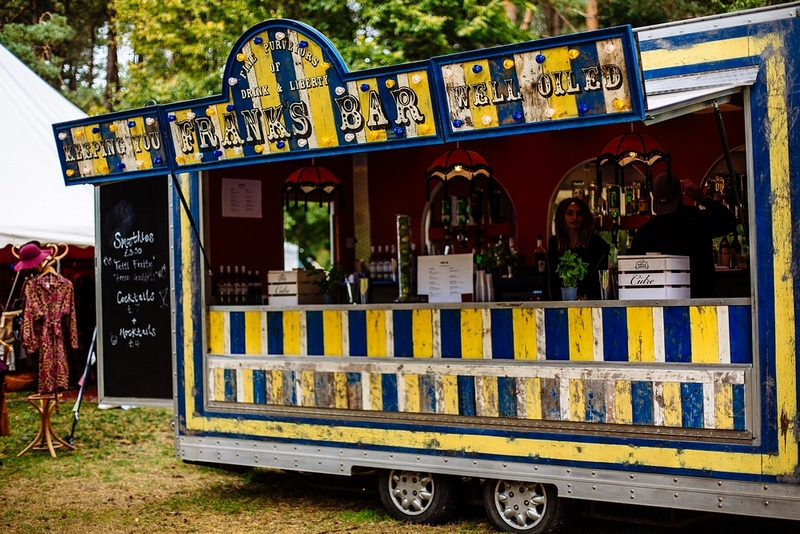 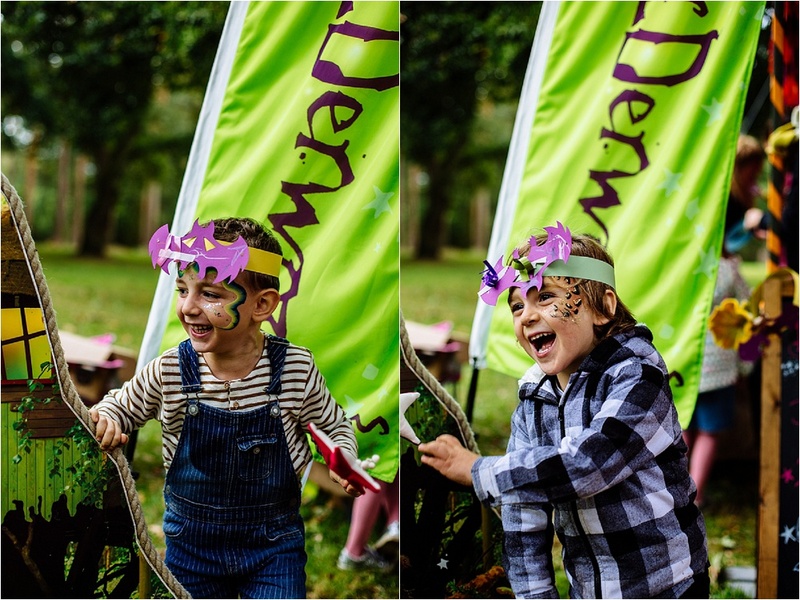 The motivation behind the festival was to celebrate the very best that Norfolk has to offer, in the most relaxed and family friendly way possible. 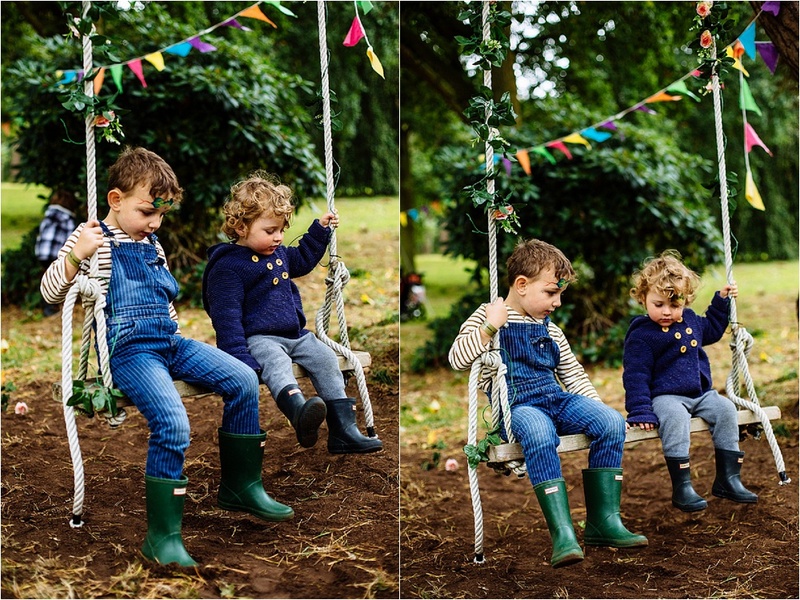 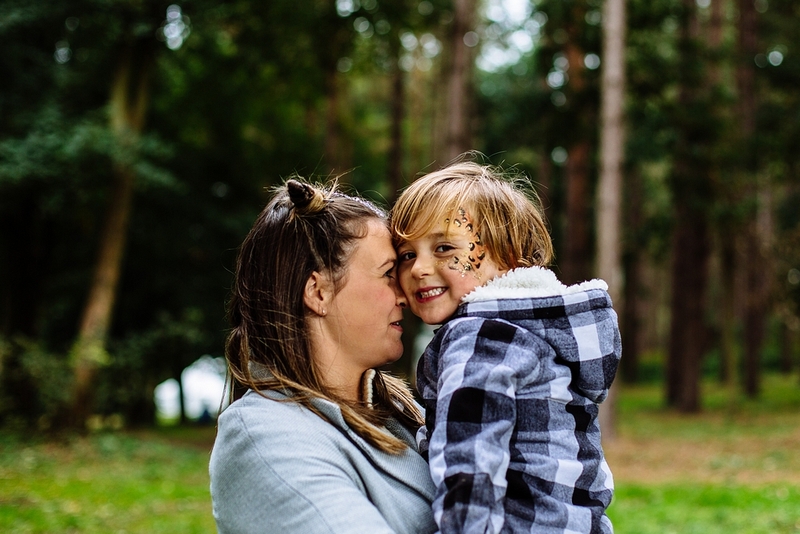 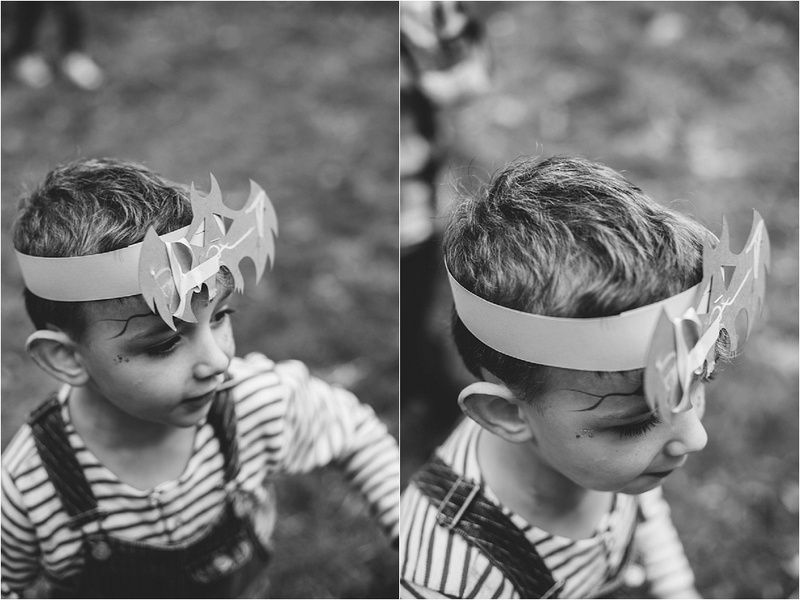 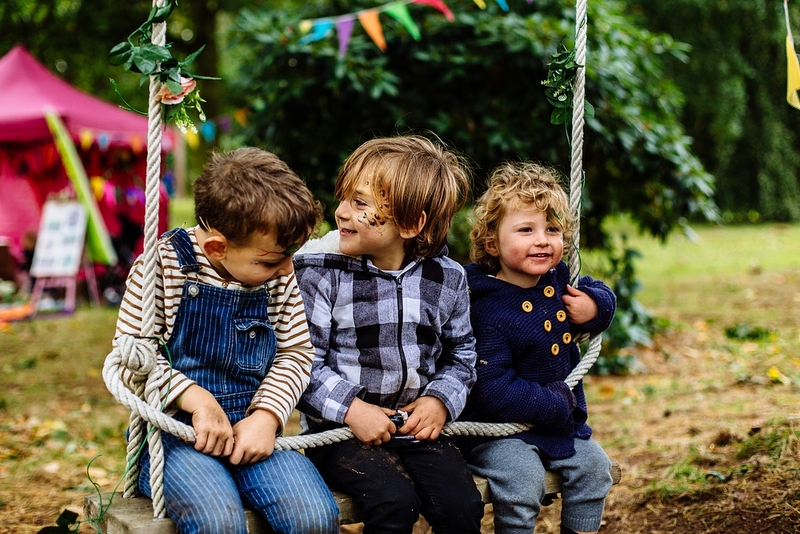 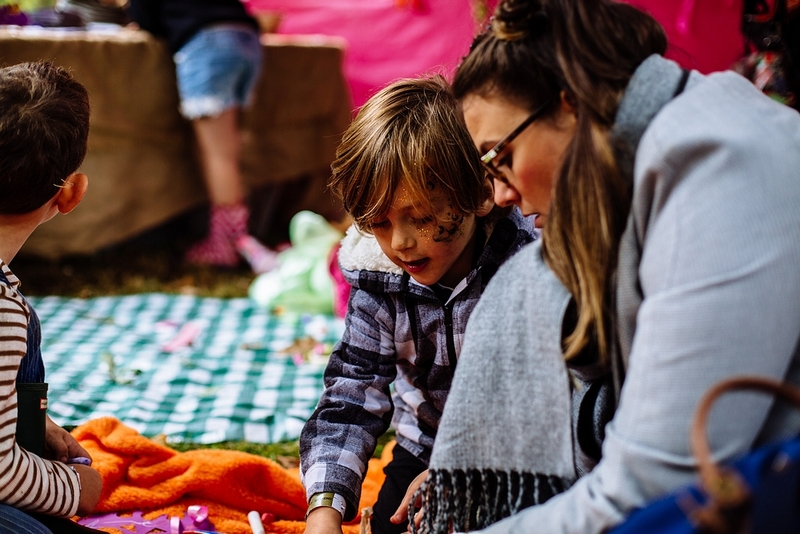 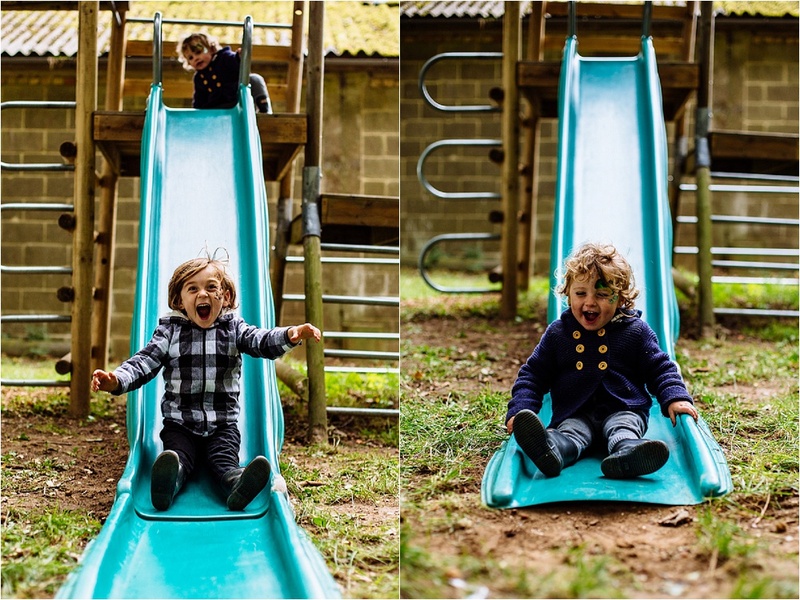 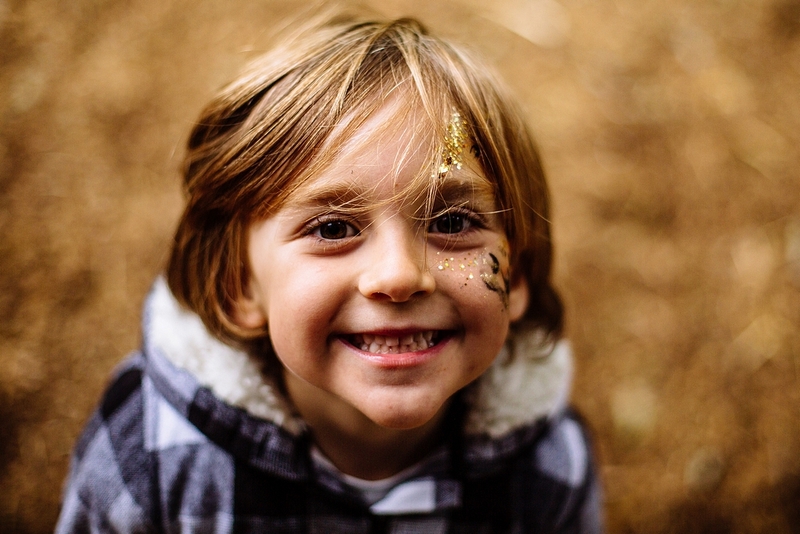 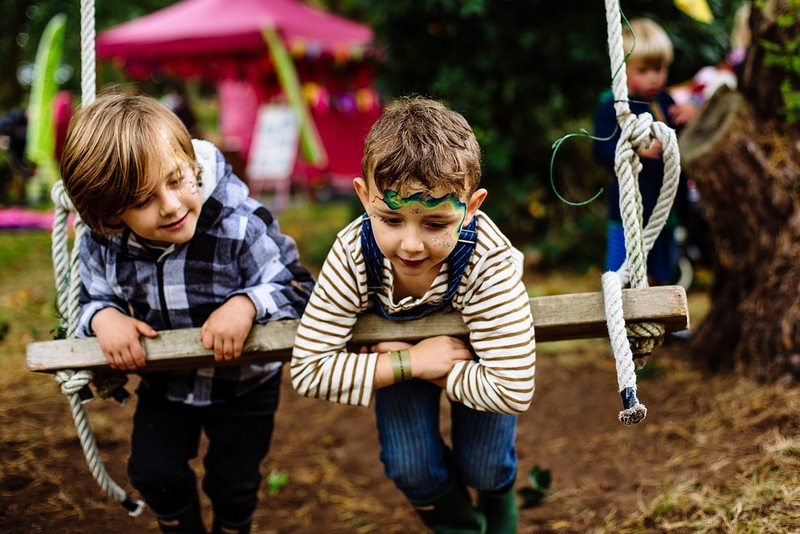 Having a young family herself Katy really wanted to combine the kind of festivals and parties that parents often miss out on with the child friendly and chilled vibes that mean families will feel truly welcome. 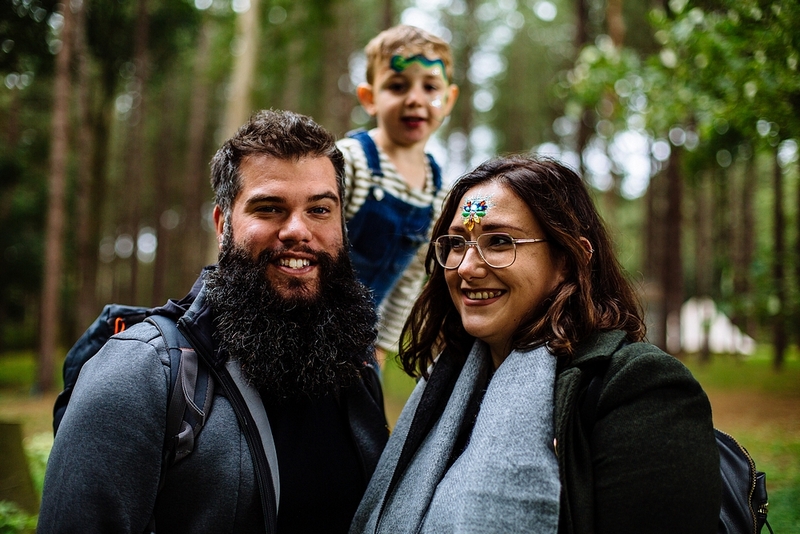 She absolutely achieved that and for me the mix of live music, kid friendly activities, great food and a woodland setting made the most amazing festival weekend. 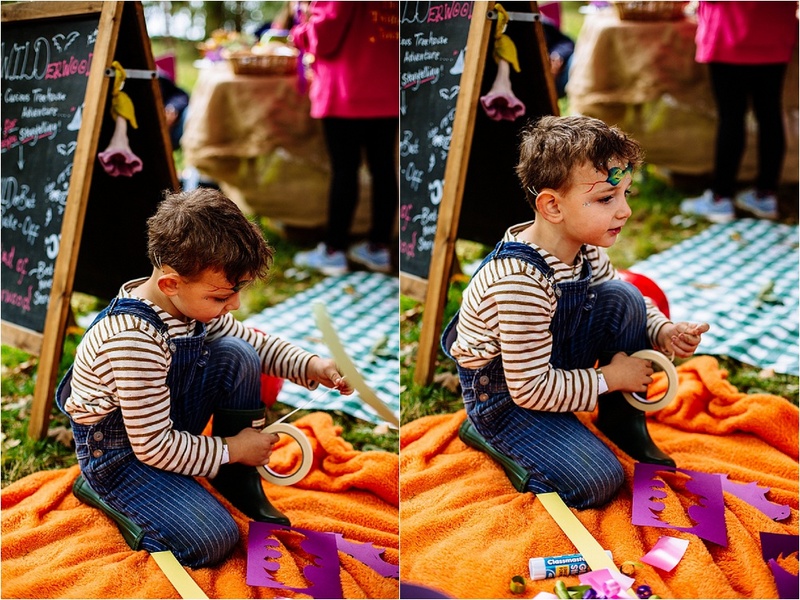 When we first arrived at Tribe we found ourselves in the middle of the deliciously smelling food area straight away – perfect for me! 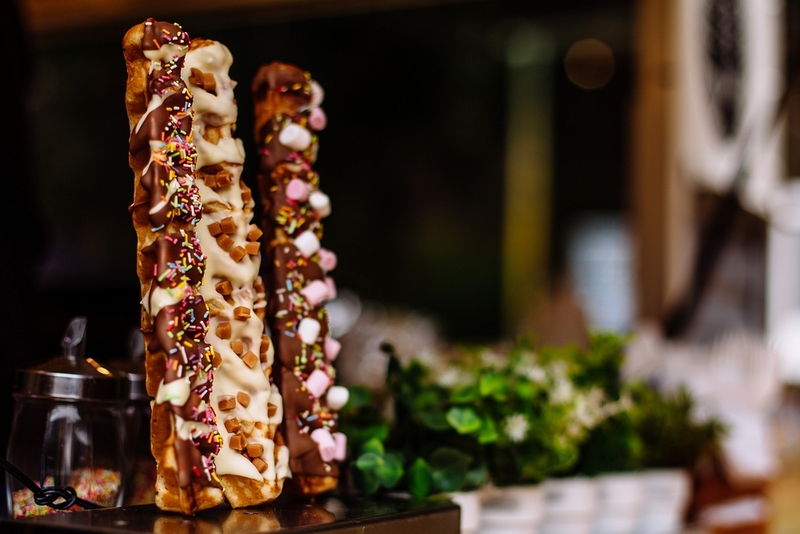 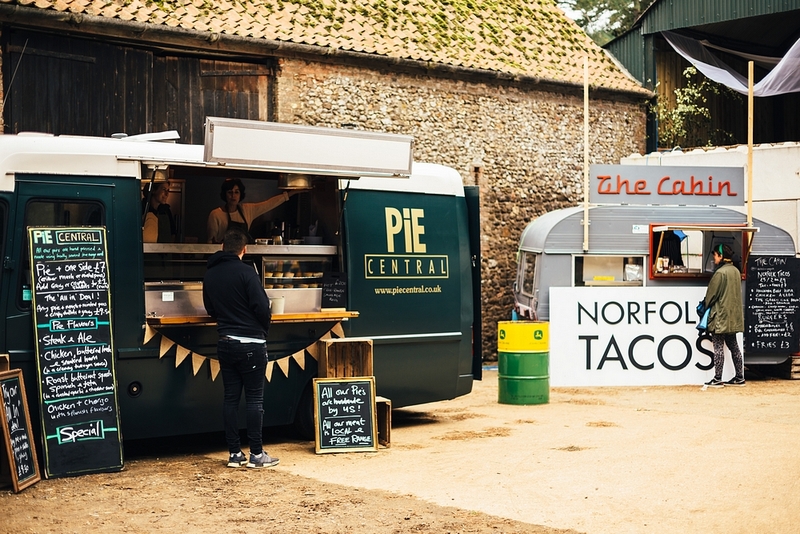 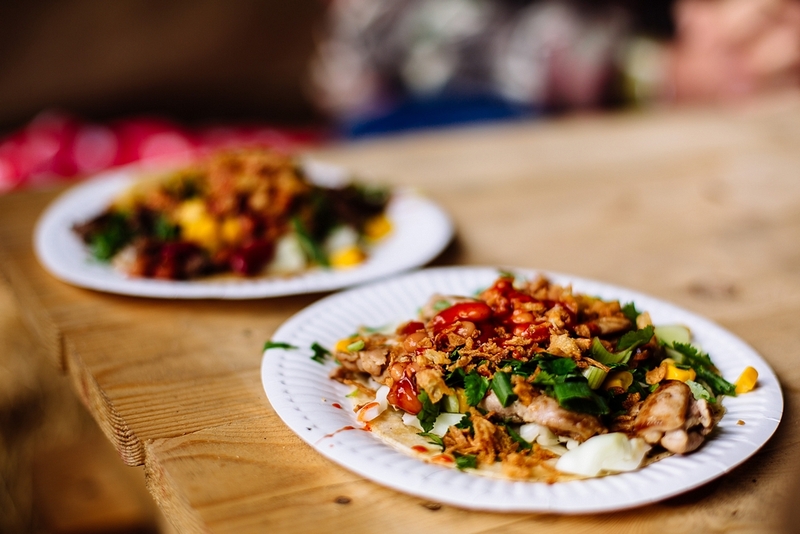 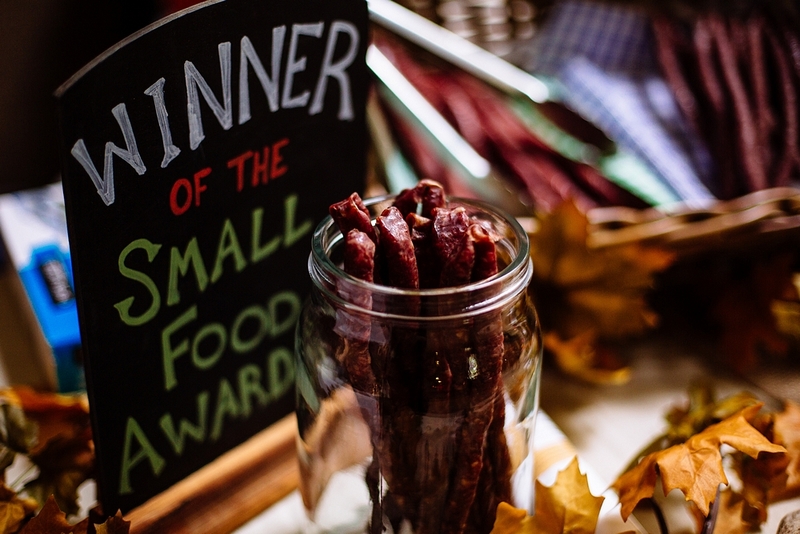 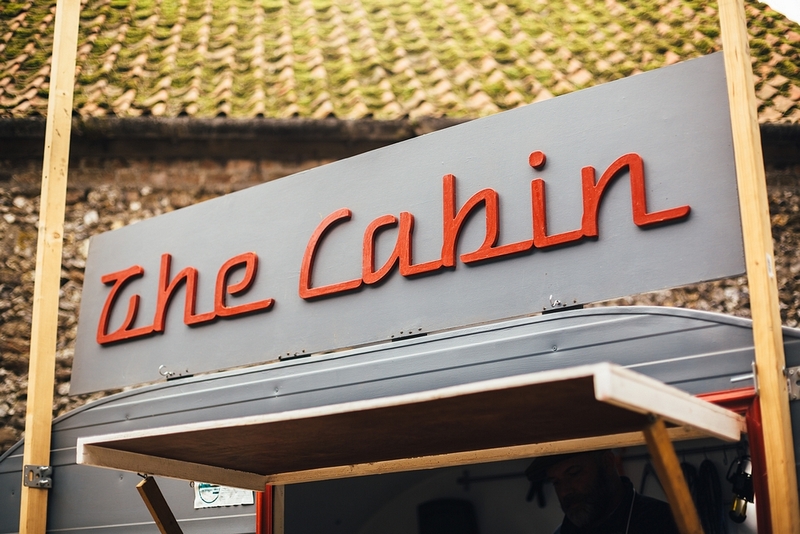 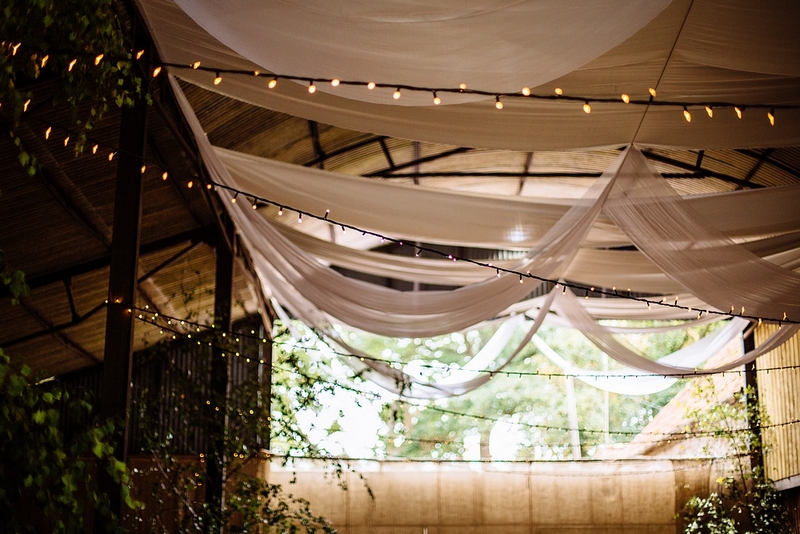 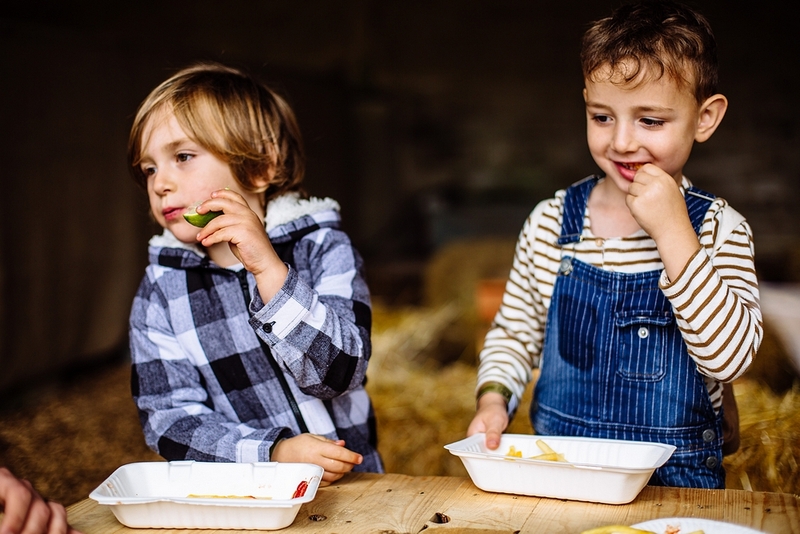 We took our pick from the variety of Norfolk caterers which included The Cabin Norfolk tacos and burgers, Nomadi Pizzas, Adam’s favourite Pie Central and The Food Dude‘s chocolate waffle sticks and then sat on hay bales inside a beautiful barn. 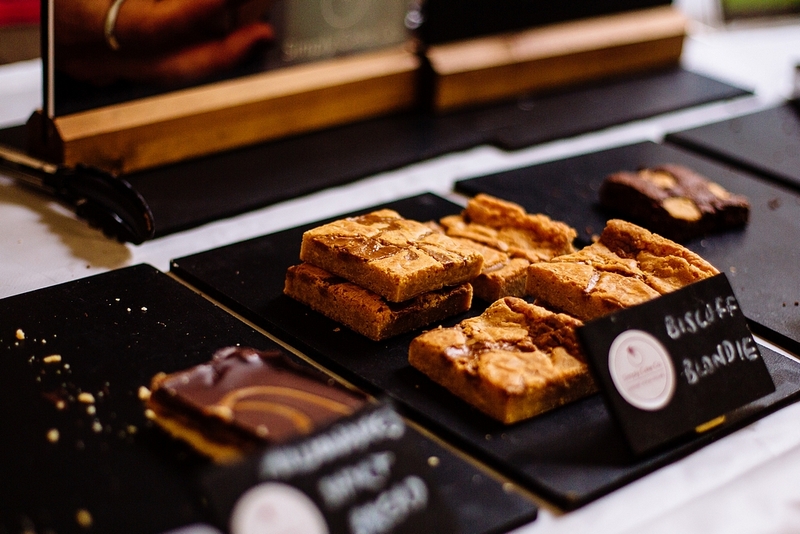 Further inside the festival we found two lovely bars and a few more stalls selling local baked goods and produce. 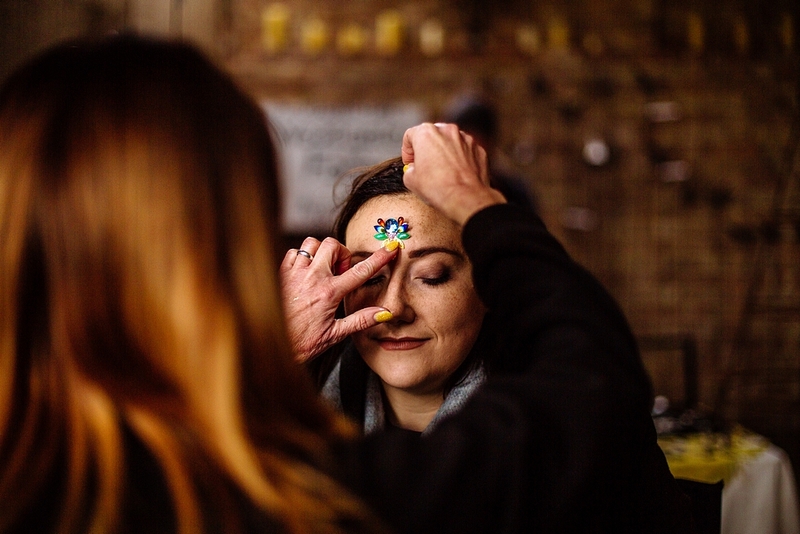 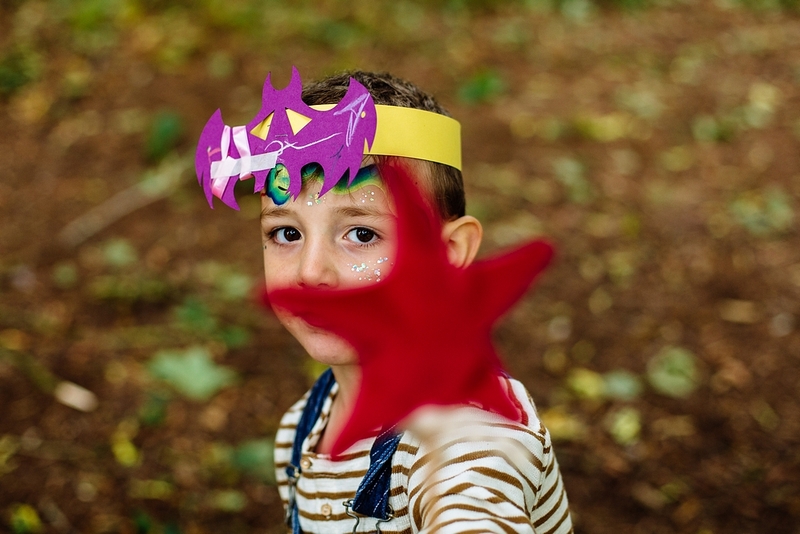 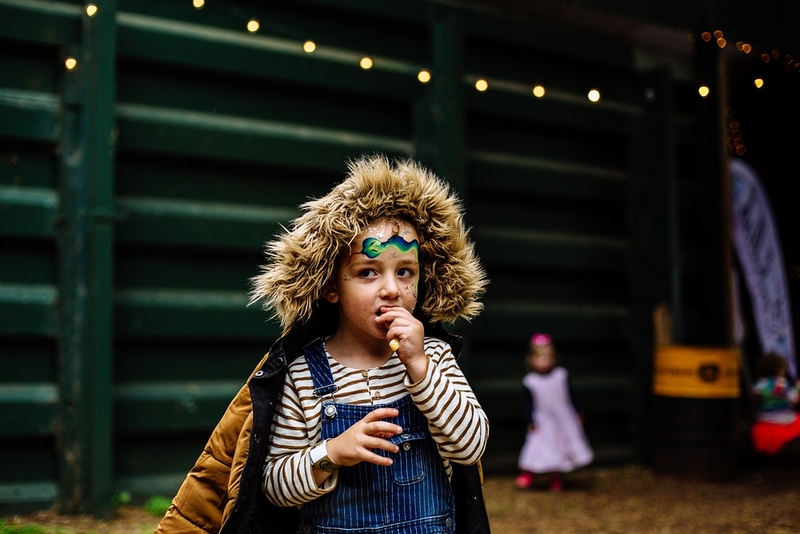 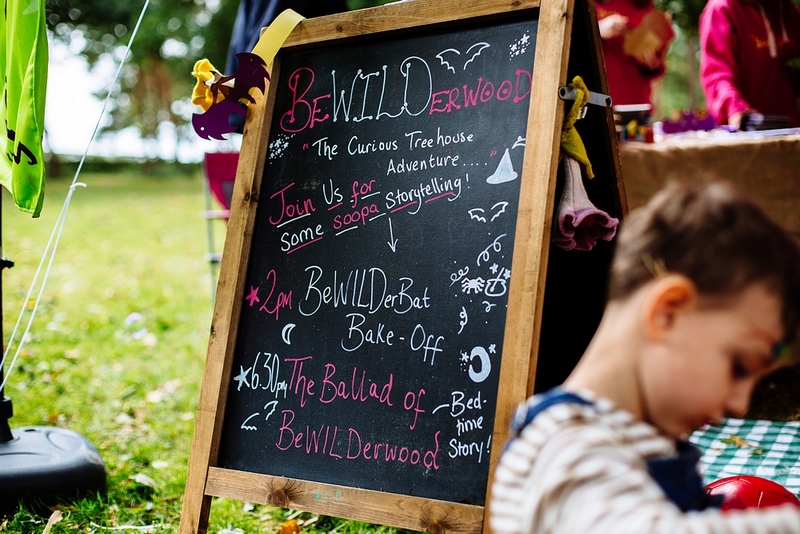 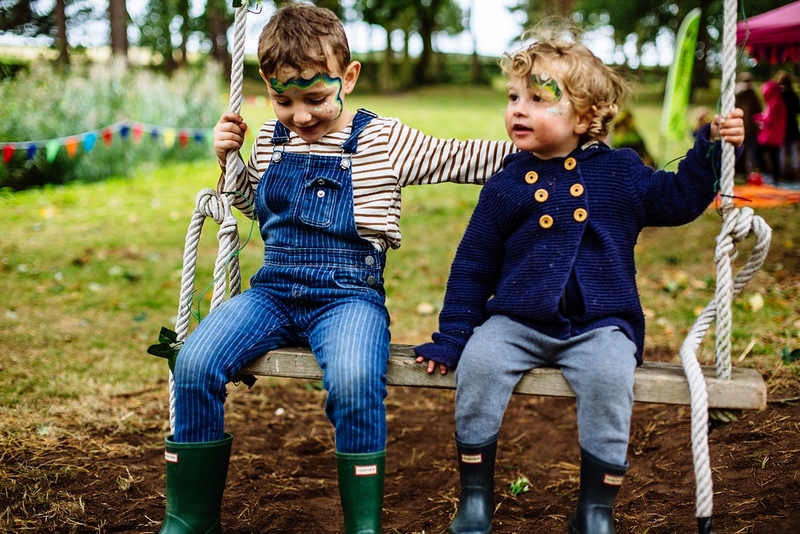 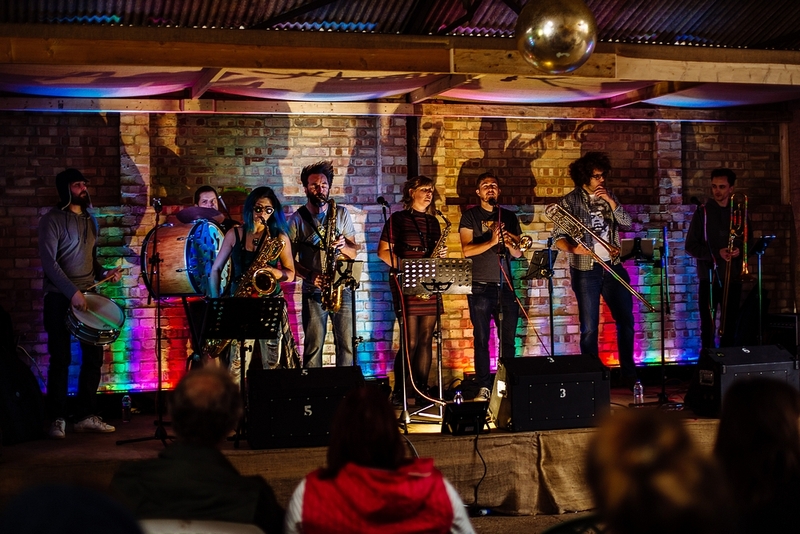 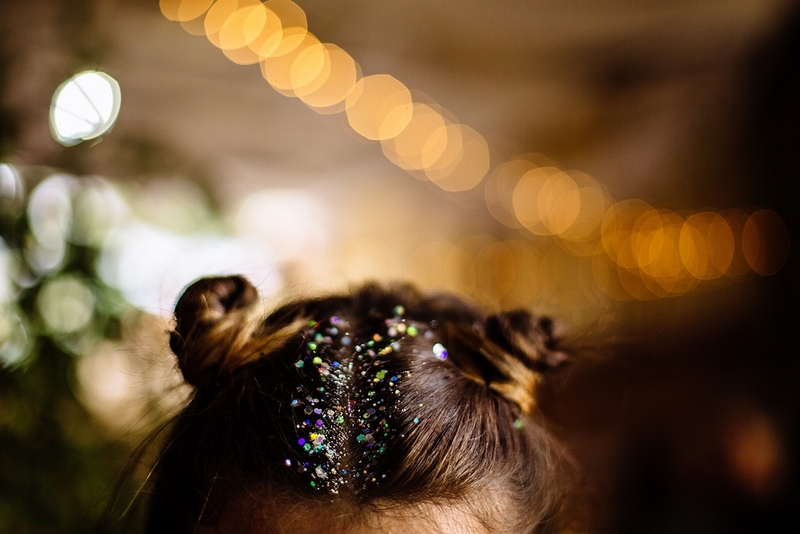 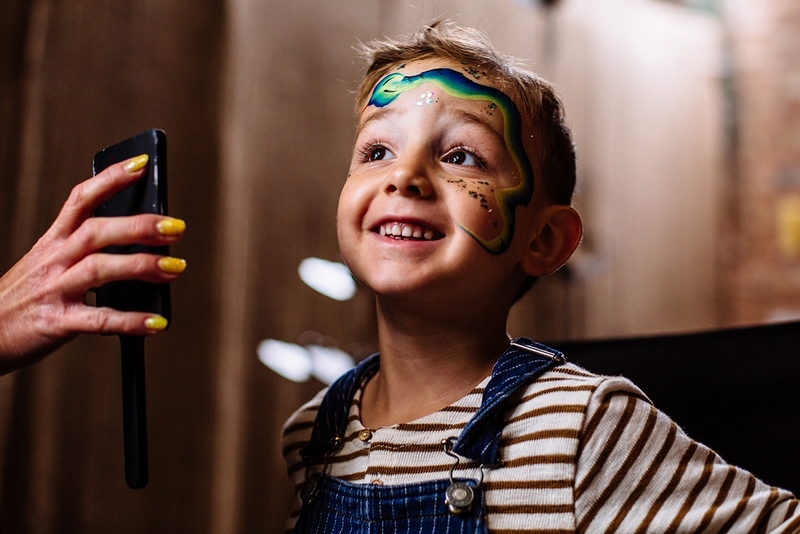 Throughout the weekend there was a jam packed itinerary including activities like 90’s hip hop yoga, astronomy led sessions, cultural embroidery, pottery throwing, hula hooping and crafts led by Bewilderwood, as well as live music to enjoy in the barn all the way into the evening. 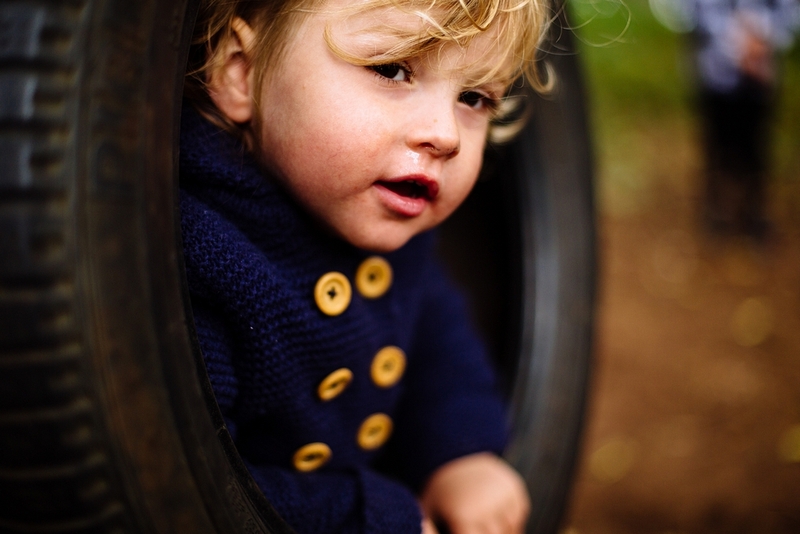 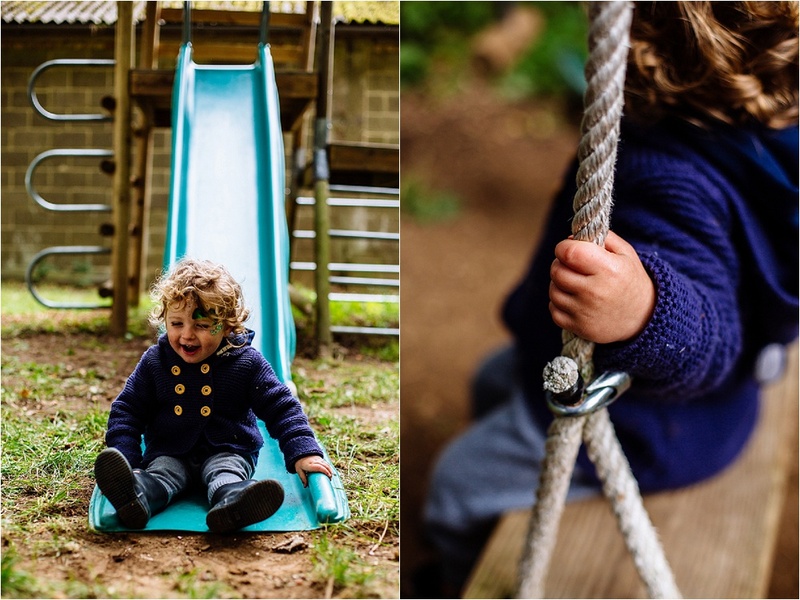 The sessions were totally child friendly and the atmosphere was incredibly relaxed. 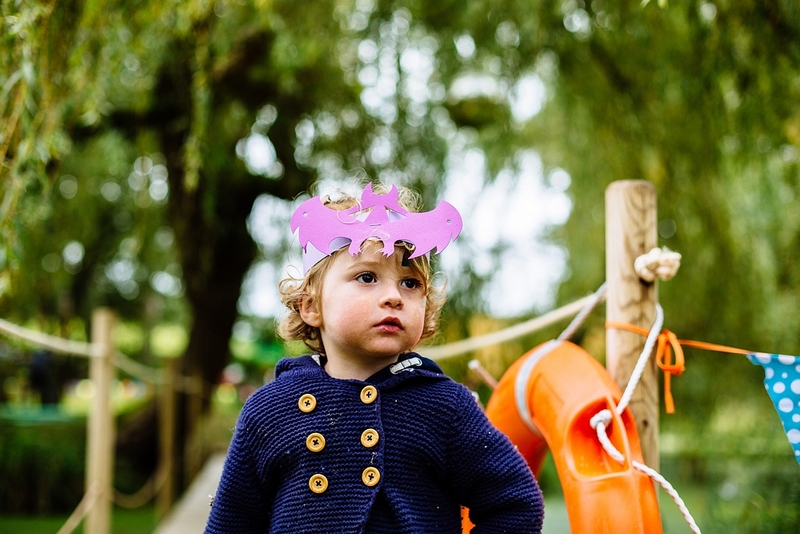 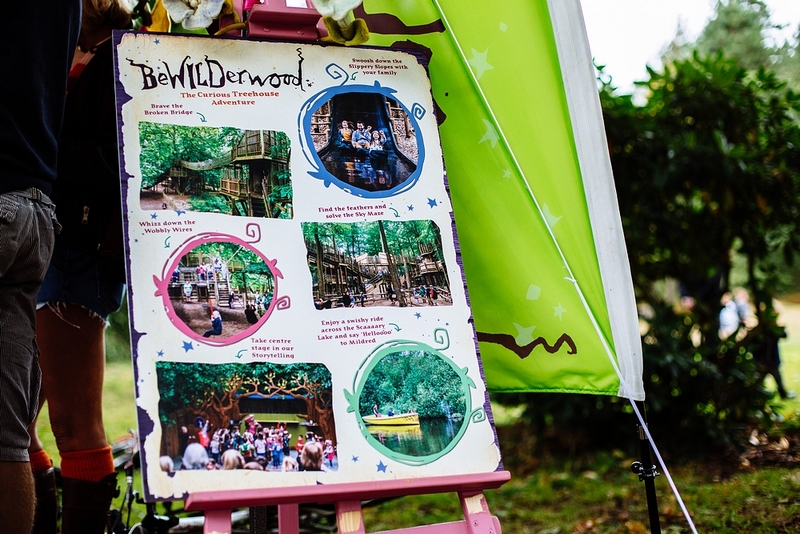 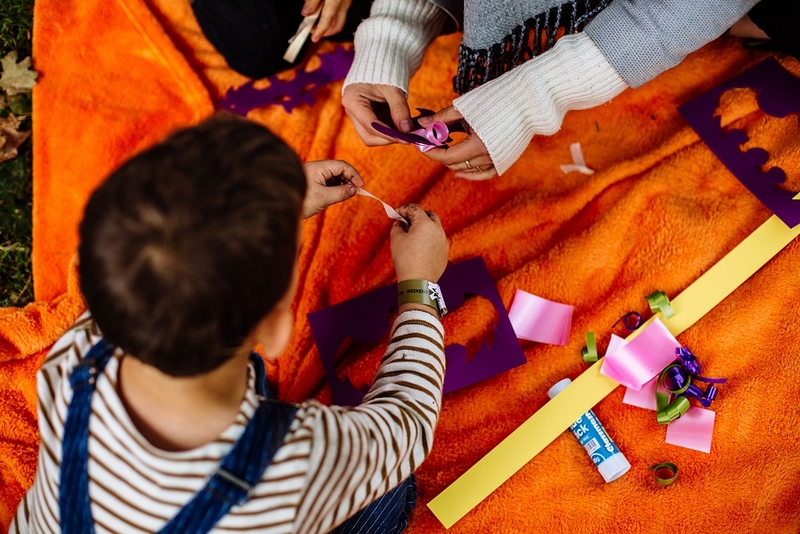 We particularly liked the Bewilderwood area, where the children could sit together on colourful blankets creating crowns and listening to story time. 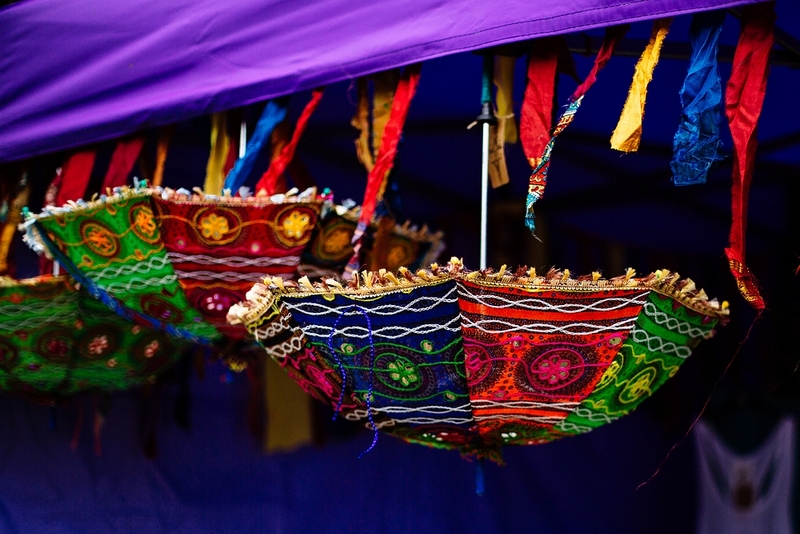 There was also of course a variety of local makers and shops with stalls including some of my favourites like Fringe and Fray and Marshes and Flint and new discoveries Wayside Pottery and Izzi Rainey, and local businesses offering festival make up/glitter and Henna. 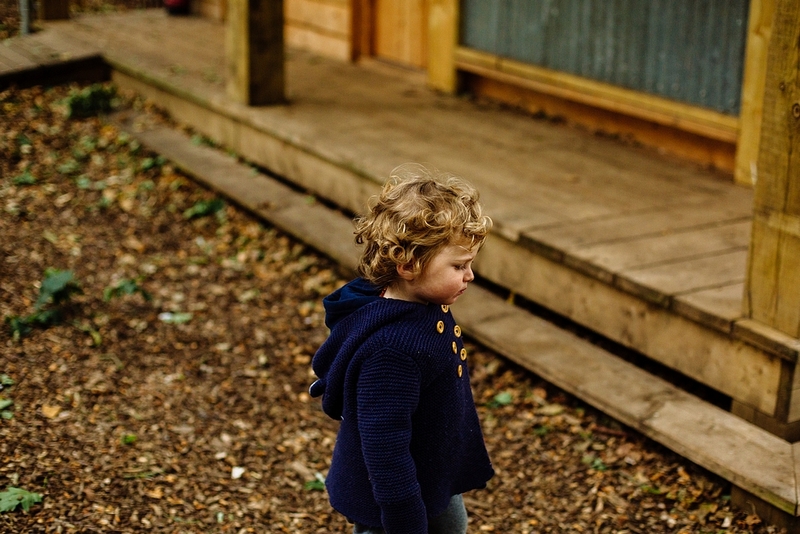 As well as all the sessions to try out and stalls to visit there was plenty of space for us to roam and explore. 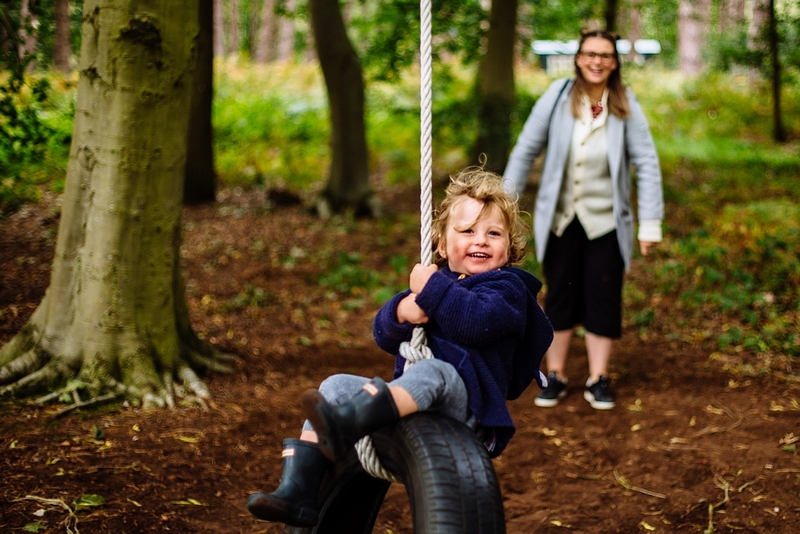 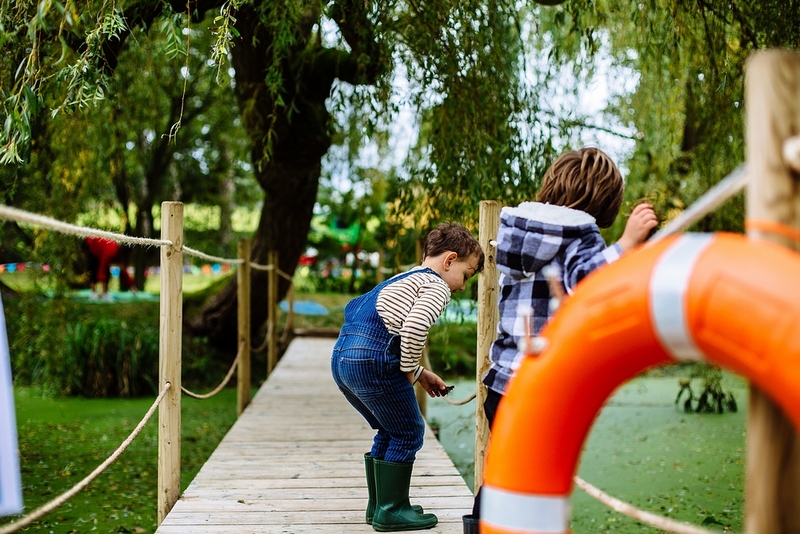 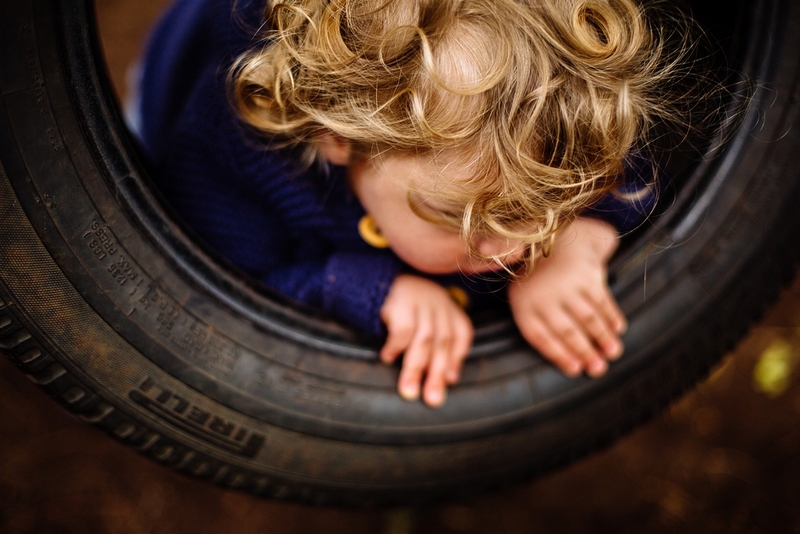 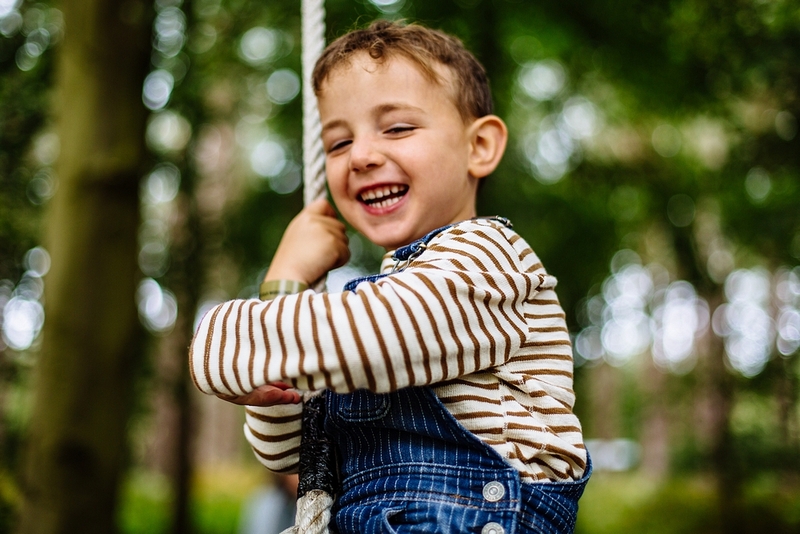 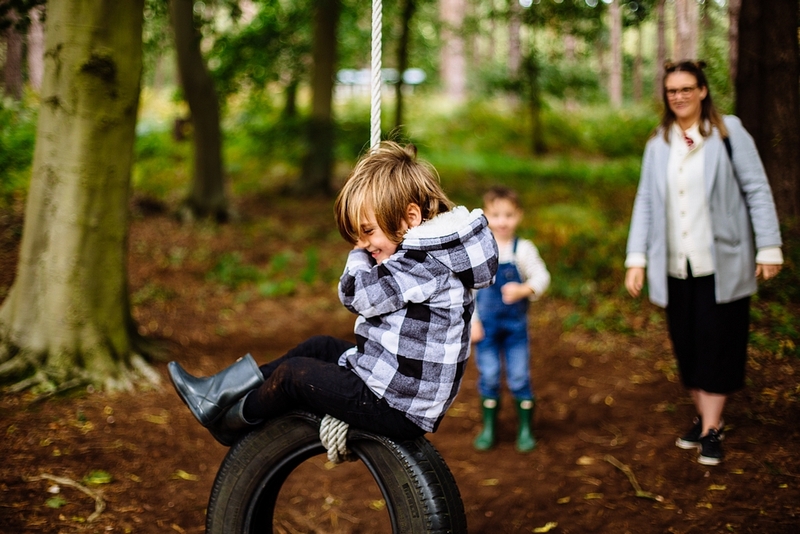 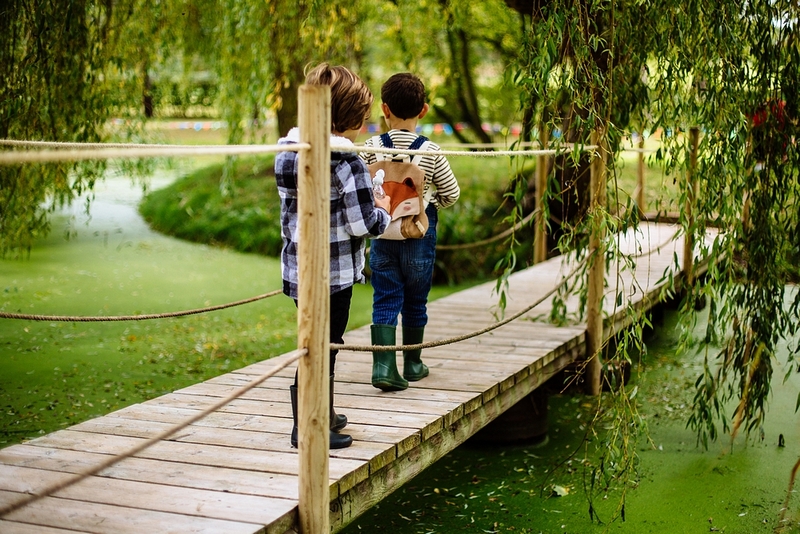 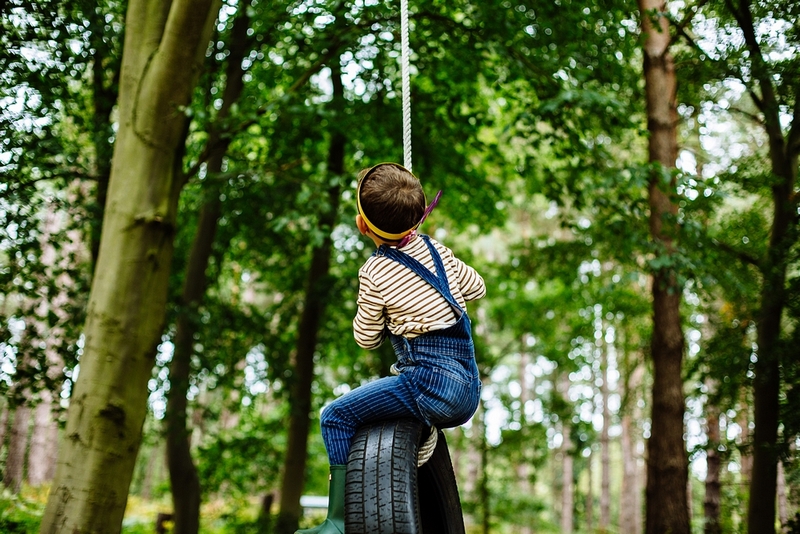 We spent a lot of time enjoying Happy Valley’s play park and the wonderful tyre swing, as well as adventuring on to the little island which later became the perfect setting for another yoga session. 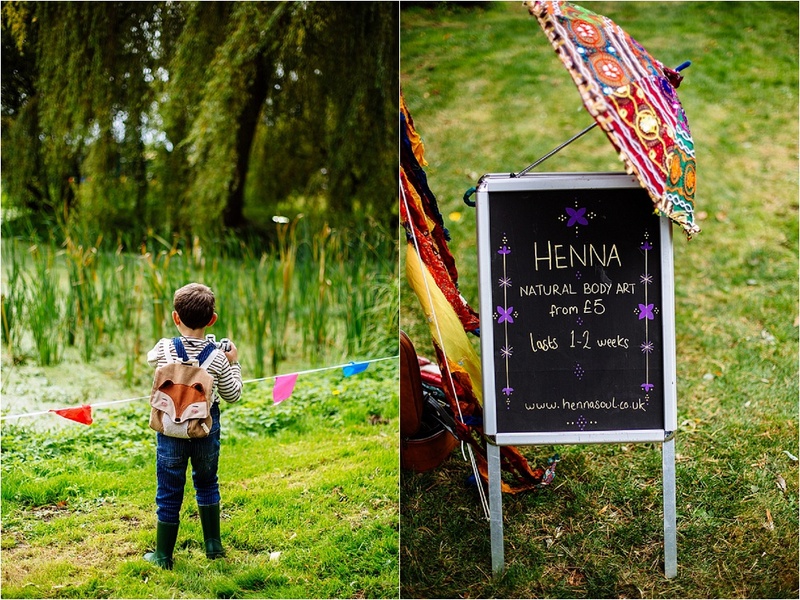 Overall it was a completely idyllic setting for the most perfect laid back and family friendly event. 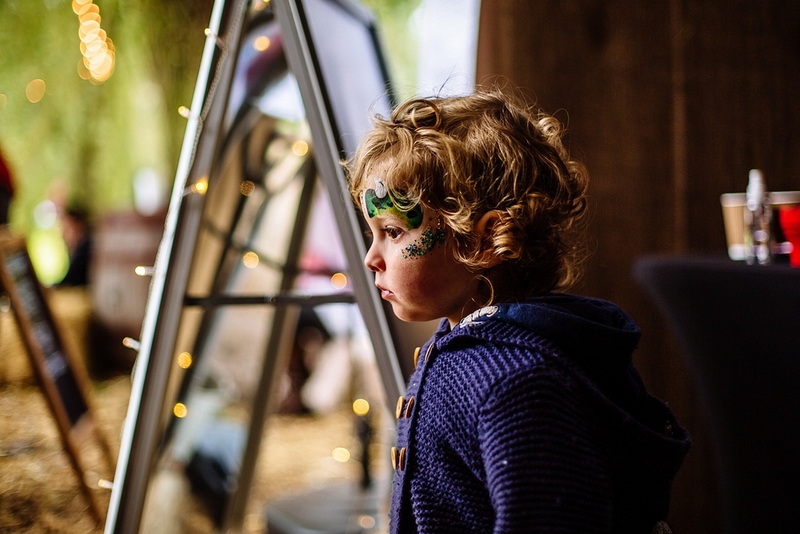 The gorgeous barn was lit up well into the evening and families enjoyed Norfolk talent together after a really lovely afternoon. 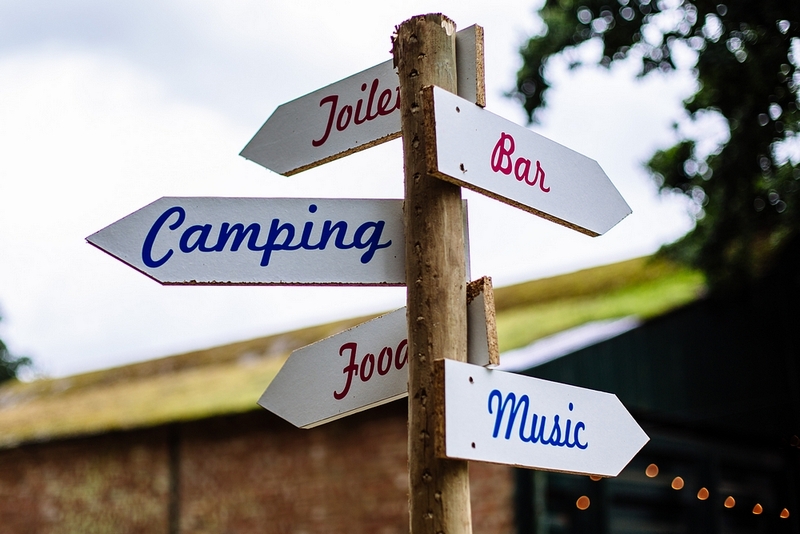 Attendees were invited to stay overnight; either camping in the field next door, or glamping in one of Happy Valley’s beautiful buildings or bell tents. 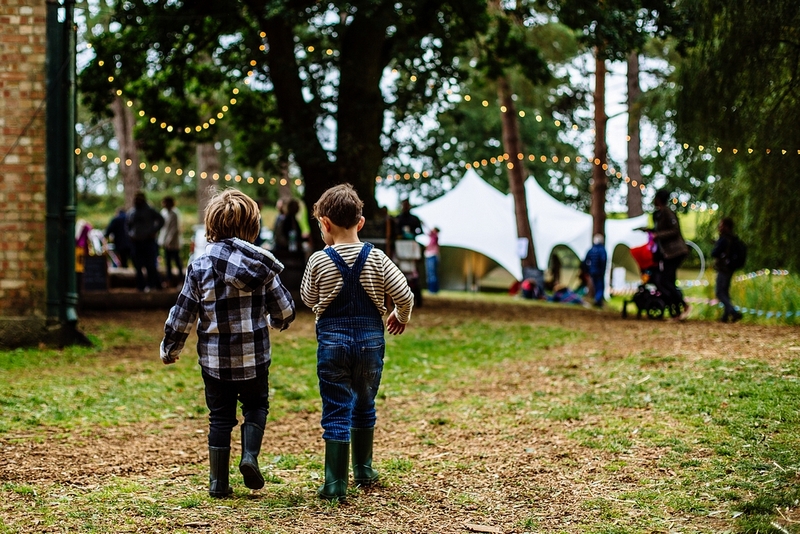 Weekend tickets were £45 each, and that included a camping pitch. 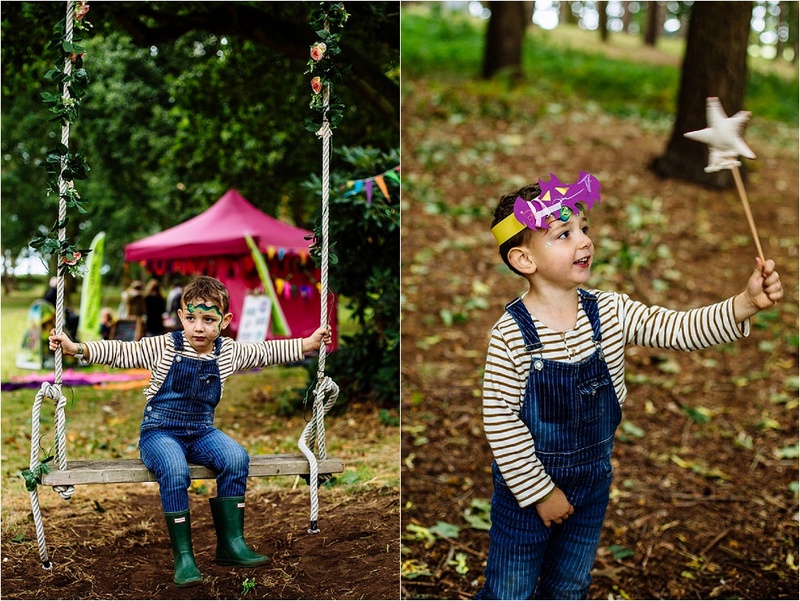 Day tickets were £25 for Saturday and £20 for Sunday, and under 5s attended for free. 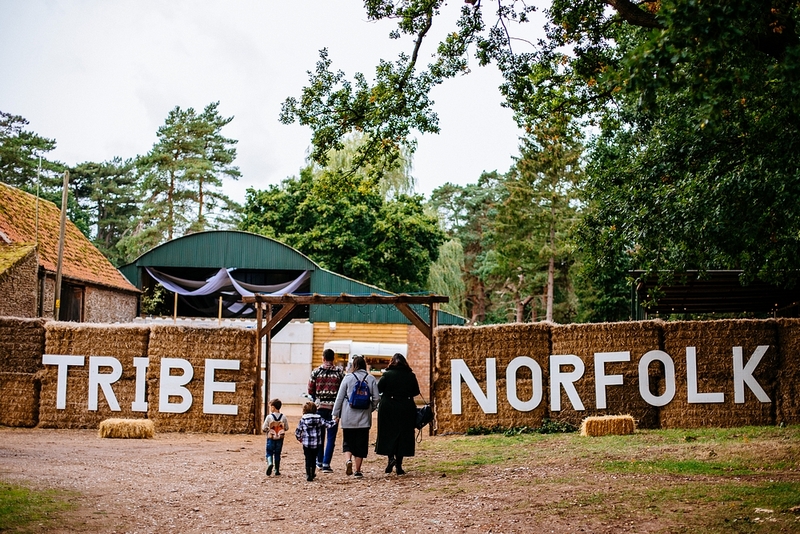 I think that Tribe Norfolk is something really special, and an inclusive event like this is absolutely the perfect way to showcase and celebrate everything our county has to offer. 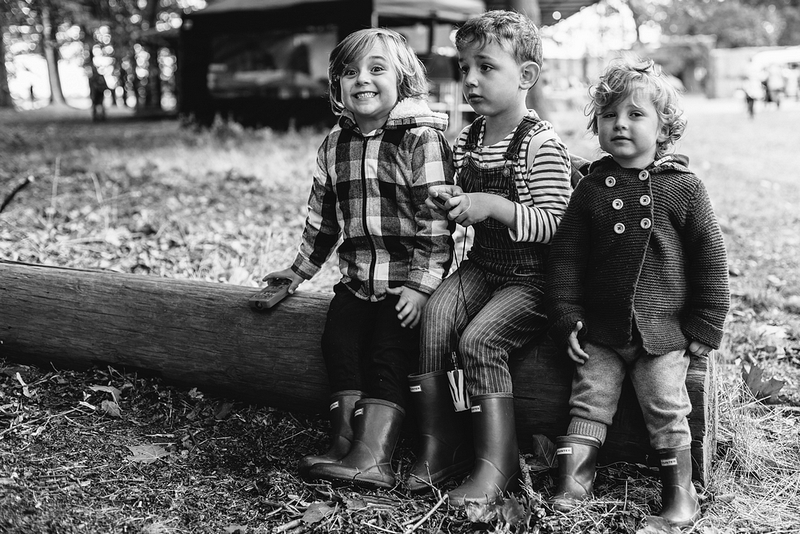 I predict that each year will be even bigger and better than the one before, and I already can’t wait. 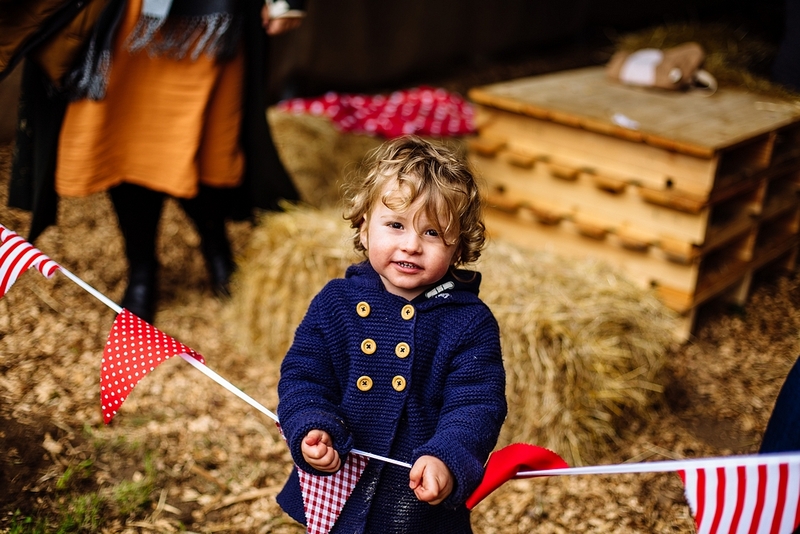 Huge thanks to Katy for inviting us to attend, and we hope to be back at Happy Valley really soon.